Despite rumors about stalled lease negotiations, it appears Facebook is still bent on joining the growing tech community in NoMad. As the New York Post reports, the social media juggernaut is now in talks to lease One Madison Avenue, a historic building that is slated for major redevelopment. The current 11-story structure, owned by SL Green Realty Corp., is currently occupied by Credit Suisse, whose lease expires next year. 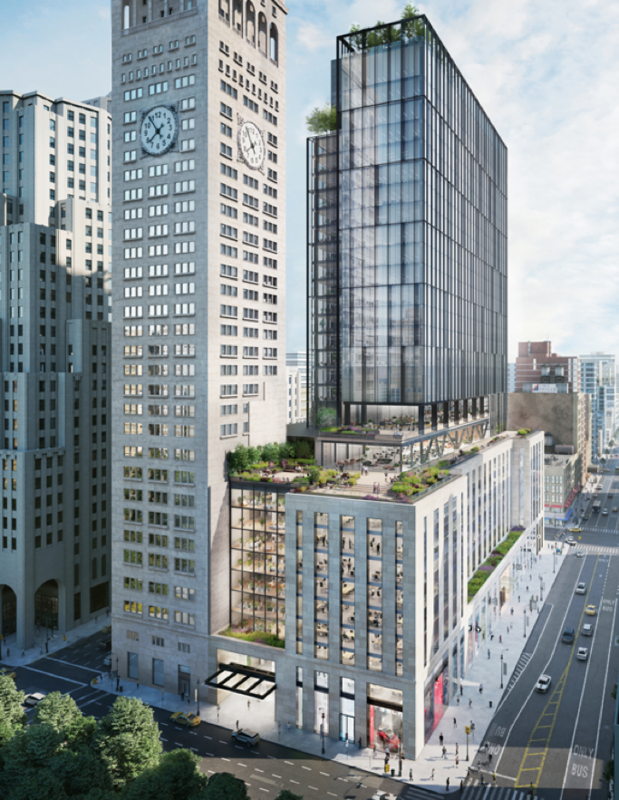 At that time, SL Green plans a comprehensive restructuring and redevelopment of the building, including the addition of an 18-story office tower built above the current structure. The redevelopment is purported to be one of the features that makes the property attractive to Facebook, although none of the interested parties have commented on the plans. As recently as October 2018, The Real Deal reported that Facebook was “negotiating to lease all of the office space at the 870,000 square-foot at 63 Madison Avenue in the Nomad District.” However, the Post cites sources who suggest those talks may have fallen through. That said, real estate negotiations are always fluid and can change rapidly, so observers shouldn’t be surprised if Facebook occupies both buildings within the next several years. Facebook is not the only major company currently seeking coveted NoMad real estate (although it may be the largest to do so). Online real estate listing platform Zillow has already signed a lease for five floors at 1250 Broadway, WeWork has taken the entire available office space at 149 Madison Avenue—a total of 115,000 square feet of space, and Blink Fitness plans to double their existing NoMad office space with a new lease at 386 Park Avenue.